The hallmarks of the Christmas season are upon us: music, tinsel, and mistletoe – plus a steady stream of events and expenses. And while the hustle and bustle of Christmas is hardly new, this season promises to be especially active, with over $700 billion in expected retail spending. Additionally, holiday trips are growing ever more popular, with end-of-year travel increasing for the last nine years in a row. Throw in billions more spent on food and beverages, and the scale of the Christmas-industrial complex becomes staggering. For this project, we sought to explore some of the industries and spending activities that define the Christmas season in both the U.S. and the U.K. Combining an original survey of 2,300 individuals with information from an array of other sources, our findings present compelling insights into consumers’ holiday behaviors. From buying Christmas trees online to travel and gifting tendencies, our research explores the most intriguing subjects of the season. To learn more about the hard data behind Christmas, keep reading. Before they reach Americans’ living rooms, where do Christmas trees grow? In 2017, 6,446,506 began their lives in Oregon – the greatest tree production total of any single state. In 2018, a special Sweet Home fir journeyed east from Oregon to serve as the U.S. Capitol Christmas tree. The White House, conversely, picked a specimen raised in another tree production powerhouse, North Carolina. Michigan and Pennsylvania also had robust Christmas tree industries, yielding over a million trees apiece in 2017. One reason Oregon surpasses other states in Christmas tree production is obvious: It devotes more land to the enterprise. Indeed, some farming operations in the state are massive, with millions of trees in various stages of growth at any given time. Michigan also devoted over 140,000 acres to Christmas tree farming in 2017, and Pennsylvania, North Carolina, and Wisconsin each had over 100,000 acres dedicated to the crop. While these acreage totals may seem massive, experts note that many farms in these states have actually downsized in recent years. As demand declined during the Great Recession, many farms scaled back their planting operations – leading to a Christmas tree shortage today. Oregon also led all other states in growing efficiency, but others made the most of their relatively limited acreage. Hawaii, where agricultural programs have sought to encourage a fledgling Christmas tree industry, ranked second with 102 trees per acre on average. Tennessee growers were similarly efficient: The state ranked fifth overall in trees per acre. Conversely, some big producers distributed their trees more sparsely across available land: Michigan averaged just 41 trees per acre despite ranking third in total production in 2017. The Christmas tree industry has a problem on its hands: Since 2010, sales of artificial trees have grown steadily, while true tree sales have been largely flat. And while fake firs have historically cost more than the real thing, they can be re-used on an annual basis – leading some experts to say they may actually be better for the environment in the long run. Indeed, in terms of actual dollar revenues, artificial Christmas trees yielded more money in sales than real ones in 2017. The only other time this occurred was in 2013 when real and artificial options generated similar sales figures. Turning to Christmas tree figures from the United Kingdom, we saw a slight dip in sales and price from 2012 to 2013. In 2016, however, a massive spike in prices and sales occurred. One explanation for this trend could be the Brexit fallout: After 2016’s vote to leave the European Union, the pound plunged. As a result, the cost of Christmas trees imported from Europe spiked, and the demand for homegrown trees increased. That doesn’t mean imports have vanished entirely, however. The British bought £3 million worth of foreign-grown trees in 2017, many of them passed off as domestic products. For Christmas tree connoisseurs, not all evergreens are created equal. In the U.K., the overwhelming species of choice was the bushy Norway spruce, a British Christmas staple since the Victorian era. Americans seemed to prefer the Douglas fir, which can near 300 feet tall in some instances, and the balsam fir above all others. Still, a sizeable contingent of U.S. respondents preferred the soft needles of the white pine as well. The distinctive features of each species may be changing somewhat in the coming years, however: Genetic engineers are crossbreeding species to produce desirable traits, such as strong needle retention to keep flecks of green off the floor. Christmas Trees a Click Away? For many, the process of selecting a tree is an essential Christmas tradition. Yet, Amazon made a splash when it announced it would ship Christmas trees directly to customers’ doorsteps in 2018, eliminating the hassle of strapping one to the roof of your car. Among our U.S. respondents, nearly 70 percent said they’d seriously consider this online tree shopping option. U.K. residents, however, were somewhat more skeptical. U.S. respondents were particularly willing to trust Amazon to deliver their trees, with nearly 9 in 10 saying they’d consider buying one from the mega-retailer. U.K. residents were most likely to entrust Tesco with this mission, despite the brand’s recent reputational issues. In some cases, our data revealed substantial differences in brand perception on either side of the Atlantic Ocean: While 72 percent of Americans would consider buying a tree from Walmart online, just 13 percent of U.K. residents would do the same. Among respondents in the U.S. and the U.K., convenience was the top reason for considering the digital purchase of a Christmas tree. A possible price advantage was also a leading factor, especially for those in the U.K. Conversely, those who resisted buying online often cited reasons related to the Christmas spirit, such as a sense of holiday tradition associated with buying a tree in person. Logistical concerns were also common, with 55 percent of Americans and 38 percent of British individuals fearing their trees might get damaged during the delivery process. Amazon has said its trees will arrive in a typical cardboard box, but they won’t be noticeably damaged in transit. Apologies, parents: Many of 2018’s hottest toys come with hefty price tags. In fact, of the 25 items included in Amazon’s Hottest Holiday Toys list, nine had a median price of $100 or more. In most cases, different digital retailers offered roughly similar prices, although there did seem to be some opportunities to steal a deal. At the time we collected our data, Amazon was offering the Ozobot Bit Coding Robot for $19 less than Walmart and Target, for instance. For those looking for old-school presents instead, Amazon and Walmart offered the best price on a Radio Flyer Wagon compared to Target and Kmart. In the U.S. and U.K. alike, women tended to give more gifts than their male counterparts – and spend more money accordingly. That finding was consistent with 2017 spending, in which women vastly outspent men on presents for others. This disparity in generosity seems even more glaring given the pay gap between men and women in both countries: Despite earning less on average, female respondents shelled out more during the Christmas season. However, this trend may be shifting. Men typically anticipated spending more this year than in 2017, whereas female respondents planned to spend less on average. Cutting it close on gift deadlines can cause serious anxiety, and only a tiny fraction of respondents dared to buy their presents on the holiday itself. In fact, an early bird strategy proved far more common, with more than half of women and 41 percent of men saying they purchased their presents over a month in advance. Of course, that approach eliminates the chance to save money through regifting, a tactic most respondents said they wouldn’t even consider. Still, more than 3 in 10 American women said they’d weigh that option, and in the U.K., men were actually more likely to consider it. On average, U.S. residents planned to spend 2.5 hours longer in transit this Christmas season compared to their U.K. counterparts. These data likely relate to the size of each country: In terms of landmass, the U.K. is substantially smaller than many U.S. states. Despite traversing considerable distances, Americans are far more likely to drive than fly for Christmas. An estimated 97.4 million people hit the road in the final weeks of December 2017, compared to the 6.4 million who traveled by air instead. Americans outside of the contiguous U.S. typically faced the longest journeys in terms of time spent traveling, with people hailing from Alaska and Hawaii making 12-hour treks on average. For travelers from this region visiting friends or relatives on the East Coast, even direct flights can mean 10 or more hours spent in the air. Conversely, for individuals in the Mid-Atlantic region, the median Christmas travel time was just six hours. In the Southwest, South, and Midwest regions, individuals spend relatively little time on the road as well. Interestingly, travelers in some regions covered great distances despite spending relatively little time in transit. For individuals from New England, the median distance traveled was 1,700 miles – 500 more than any other region. In Alaska and Hawaii, the places with the longest trips on average, the median distance covered was just 1,000 miles. Perhaps our data suggest that travelers from some regions are likely to fly instead of drive, crossing long distances in less time. This is likely the case in the Southwest, which ranked second overall in miles traveled on average and second-to-last in time spent traveling. Whereas 14 percent of surveyed U.S. residents shared plans to travel by plane for the Christmas season, just 7 percent of U.K. residents said the same. After all, America benefits from the greatest number of operating airlines of any nation in the world, making air travel widely accessible (if not cheap). While U.S. residents were more likely to plan to travel with family by plane, individuals in the U.K. were more inclined to fly with their significant others. In both nations, over a quarter of respondents planned to travel solo to reach their destinations. On both sides of the Atlantic, roasted turkey was the top-rated Christmas meal – although a bird big enough to feed eight came at a considerably higher cost in the U.K. Some experts attribute rising turkey prices to the Brexit fallout, but vegetable costs have surged as well in the wake of extreme weather. Additionally, some items were particularly beloved in one country but nowhere on the other nation’s holiday favorites list. Such dishes included pigs in a blanket, which Americans may regard as a cocktail party fare, but British respondents considered it a Christmas dinner staple. And while Americans enjoyed pumpkin or pecan pies, U.K. residents were more likely to savor pies of the minced variety. On average, Americans planned to spend roughly $35 more on their holiday meals than their U.K. counterparts. This cost differential could simply reflect each country’s portion expectations: Americans are accustomed to notoriously large meals, which can cost a pretty penny to prepare at home. But if Brits plan to spend just $65.50 this year, they might be surprised by the prices they actually encounter in their supermarket aisles. According to economic experts, extreme weather in 2018 sent the cost of potatoes soaring by 186 percent over 2017 rates, while carrots, parsnips, and Brussels sprouts prices rose approximately 50 percent each. Our findings suggest the Christmas season is as busy as ever: In terms of spending, travel, and eating well, the final weeks of 2018 are unlikely to be marked by restraint in the U.S. or the U.K. Indeed, new technology seems to further these traditions, bringing a digital spin to the industries that thrive in these jolly times. As we rush to share gifts and dig into our Christmas dinners, however, it’s worth pausing to consider just what makes this season so joyous. While we may not all spend equally, observe the same holidays, or buy the same kinds of trees, everyone can appreciate the chance to spend time with the people they love. In 2018, that’s something we can all celebrate, and it comes at no cost at all. If you own a business, you need to understand your customers’ sentiments – especially during Christmas, when emotions can run high. 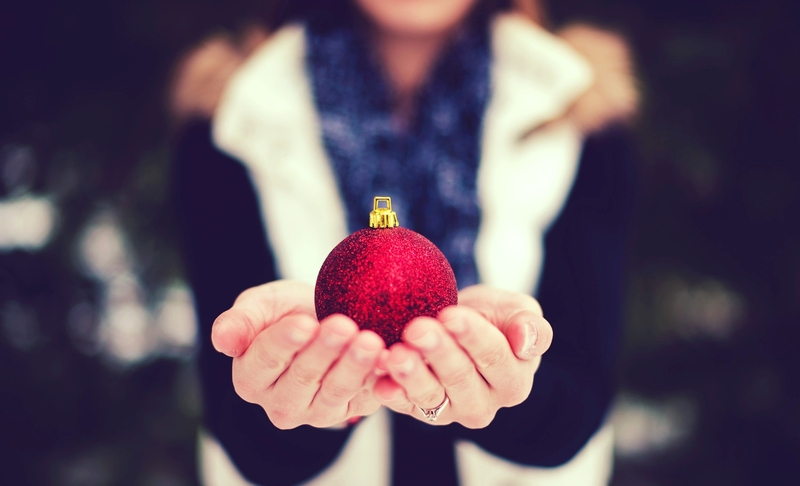 Trustpilot can help you serve your customers better, meaning they stay jolly year-round. Our platform empowers businesses to analyze consumer reviews and take meaningful action so that you can stay ahead of major challenges. To find out how we can help you better serve your audience, learn more about our services today. This campaign surveyed 1,387 adult Americans and 1,000 U.K. residents. Respondents answered a series of questions on a survey built via SurveyMonkey and administered via Amazon’s Mechanical Turk service in the U.S. and the Prolific platform in the U.K. The survey was based on self-reported data, which can be limited by several extraneous factors, such as incorrect or incomplete recollections, minimizing, response bias, or other demand characteristics. To gather background data, we consulted a wide range of e-commerce sites and research organizations, all of which are sourced on the individual data graphics. In the Christmas spirit, we hope you’ll share the gift of this content with your friends and loved ones. We do have a couple of requests in that regard: First, please only use our images and information for noncommercial purposes. Second, include a link back to this page when you share our work so that others can explore the full project. Merry Christmas!